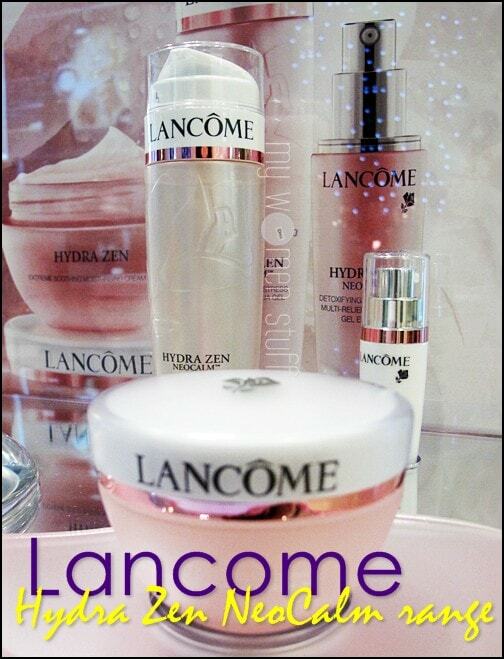 Here’s a quick one about Lancome’s new addition to their skincare range – Hydra Zen NeoCalm. A skincare range targeted at skin hydration while being a treat for the senses to calm you down. You might recognize the signature light pink packaging of the Hydra Zen range of skincare with its distinctive light floral scent that helps soothe away your cares of the day. Sit in it, and allow your body weight to cause the chair to recline. You will NOT want to get up 😛 And happily so, because you can try this out at the Lancome counter at Parkson Pavilion Kuala Lumpur from 15-31 July 2010. 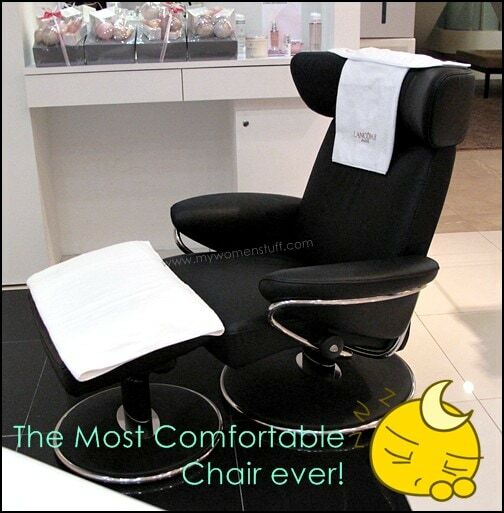 Sink into the chair and get a complimentary 10 minute shoulder massage, and find out more about Lancome’s new range. You can call 03 – 21418450 to make an appointment and its no obligation and no purchase necessary. woah the chair looks lovely! I tried the moisturizing gel (my sister who’s a journalist got a complimentary bottle from the PR) but didn’t particularly like it. For some reason, my skin doesn’t absorb it very well, even though I only applied the usual pea-sized dollop. Will probably be sticking to my clinique ddmg for now! i dont like serum thats just hydrating, i prefer anti aging and all. just hydrating i think moisturizer is fine. but i did love the advert for this, of the girl sleeping with beautiful looking skin, so tempting! I’m like you – I prefer a serum that does more than just hydrate but perhaps if someone has very dry skin it would be useful for them. I love Lancome!! I need a hydrating serum~~GN-White is not longer effective for me. Hmm..